I found this awesome site and thought you might like it too. 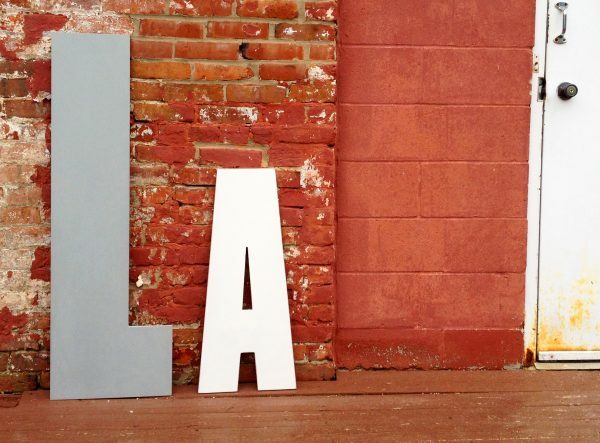 The link is athttp://baxtermill.com/product/giant-wooden-letters/. 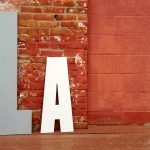 Giant wooden letters are perfect to hang on the wall and will make an extra large statement in any room, especially as a focal point in a room or office. They are great for initials, wedding decorations or your company name, and with the giant wall letters, it will be the statement of your wall decor. The letters are 48 inches tall and cover about half of a wall. The letters are made from MDF or Baltic Birch depending on your requirements. Each letter has holes on the back for easy hanging, or they are strong enough to stand on their own against a wall. All Low-VOC paints were used.